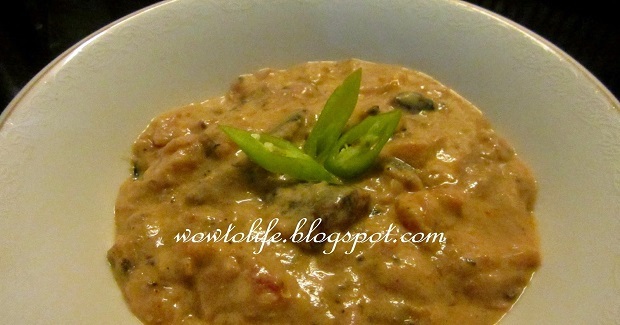 Ginataang Santol With Sardines Recipe - Gutom Na! Posted on Thursday, March 9th, 2017 at 5:25 pm. Sprinkle 1 tablespoon of salt on santol. Mix it generously and squeeze out the liquid. Heat a little oil in a pan. Saute the onion and garlic. Add in the chopped santol. Put the water. Let it boil until the water completely evaporates. Add in the sardines, chilies, patis, and sugar (optional). Add in the coconut cream. Season with pepper. Add salt if needed. Cook uncovered for 5 to 8mins, stirring occasionally. Serve with rice. Share and enjoy!